Dolls of the World is the project for the Barbie Collector series. It s a website to promote the series of dolls form different countries from around the world. 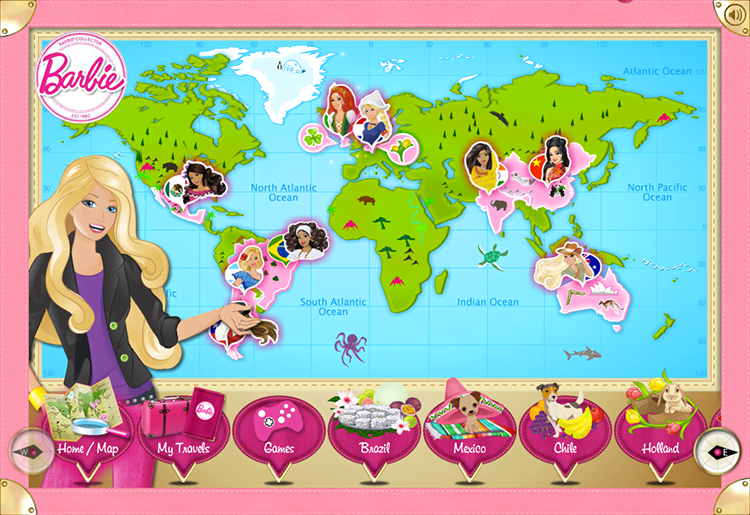 Each doll has their own page with own mini games and activities. Plus there are other activity pages to enjoy. This was an asset heavy project. All of the artworks were created in Photoshop and Flash.